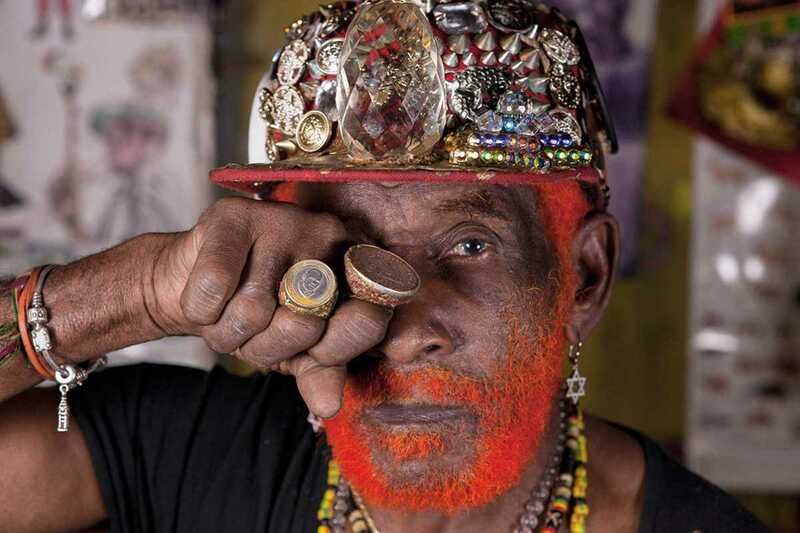 Without musician, writer, singer and producer Lee “Scratch” Perry, reggae and dub music as we know it today would not exist. He’s always been the leader in creating new pathways in recording techniques where none have existed before. Even now, at the age of 81, he’s still out there performing live around the world with astounding energy. His musical career began in the late ‘50s working on Coxsone Dodd’s sound system and the Studio One label before breaking away to create his legendary studio band, The Upsetters. In the early ‘70s he built the Black Ark studio in Jamaica where all the greats of reggae music learned their craft: Bob Marley & The Wailers, Max Romeo, Junior Murvin, The Heptones and many more. In 2003 he won the Grammy for Best Reggae Album and today receives many accolades in acknowledgment of his maverick talent. He now lives in Switzerland and is constantly touring and collaborating on new musical projects.